I love history and thanks to the Lahaina Restoration Foundation the beautiful Baldwin House was open for tourists like me to come in and learn all about a fascinating story. 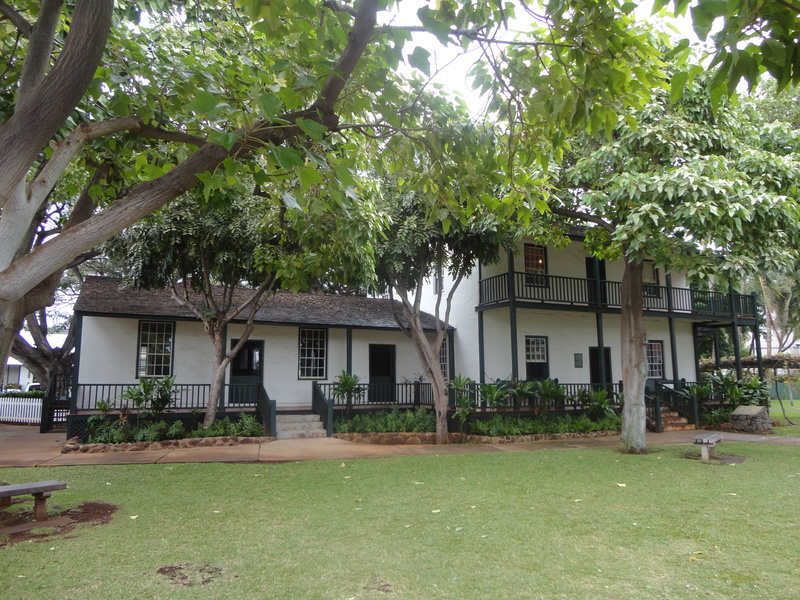 The Baldwin House offers the entrance a group of individuals that had a profound effect on the island and Hawaii, missionaries. The first missionaries arrived from New England when King Kamehameha I’s son overthrew the ancient religion in favor of Christianity. Coming to spread the gospel and to build churches and schools, missionaries were allowed to settle in Lahaina in 1823 at a time when the islands were referred to as the Sandwich Islands rather than Hawaii. In 1830 Dr. Baldwin along with his new bride set sail for Waimea, Hawaii where this physician and missionary served as a pastor. In 1838 he was assigned as Pastor to the Lahaina Wainee Church. At that time, the Baldwins moved into the original section of the house. They arrived in 1838 and stayed until 1871. Dr. Baldwin and his wife had six children and expanded their home several times. He is credited with not only bringing the gospel and educational opportunities too many islanders, but this Harvard educated doctor also saved many from the small pox epidemic that hit the island in 1853.